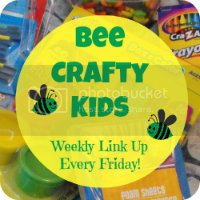 The craft we made this week was so easy and there was no mess involved at all! 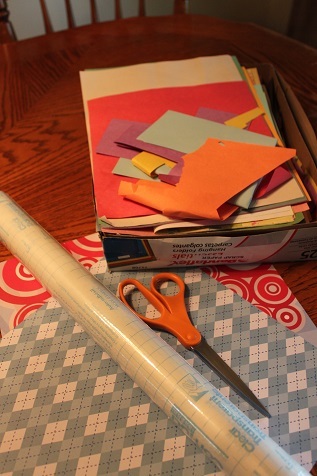 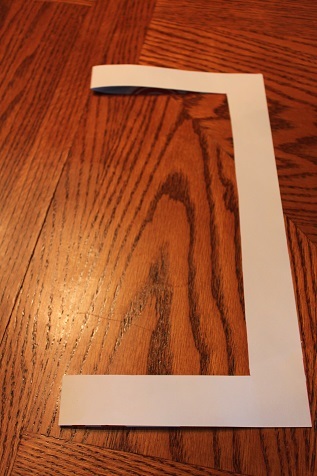 Fold the scrapbook paper in half and cut a square out of the middle. 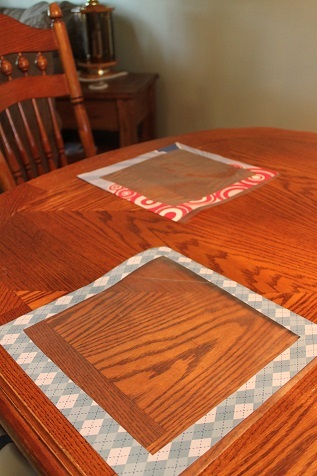 Put contact paper on the back of your frame, sticky side up. 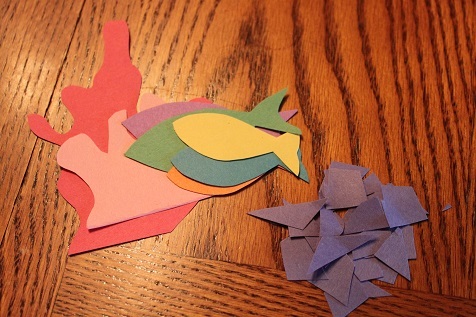 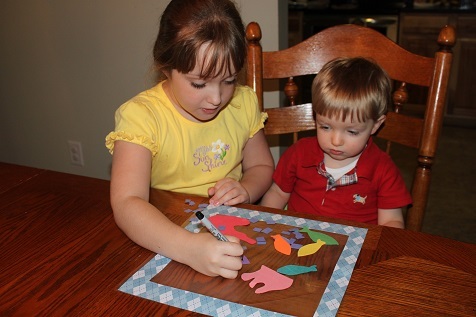 Cut out pieces to go in the aquarium using the scrap construction paper. 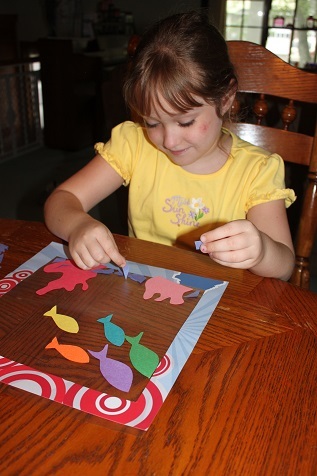 Hailey very carefully adding all of her pieces to her aquarium. 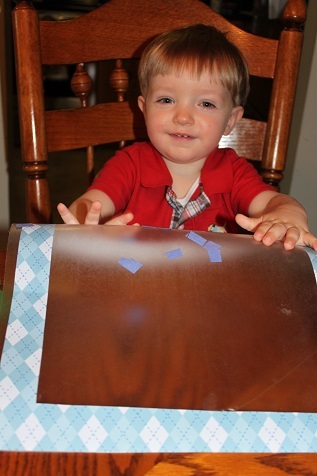 Hunter liked feeling how sticky the contact paper was, but he did eventually put his pieces on. 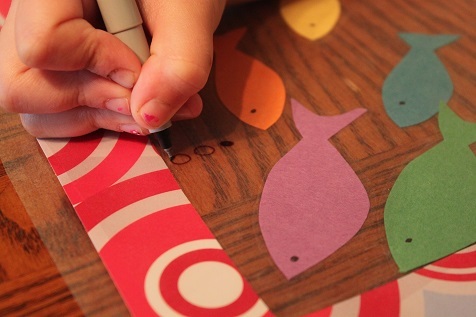 I added another piece of contact paper over the the top of the fish. 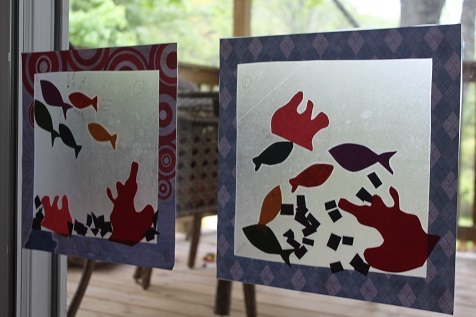 Then Hailed added some air bubbles.